Italy learned the lessons of its fight against organized crime, far-right and far-left extremists, but lives under the threat of the resurgence of terrorism. Among the European countries that have suffered major terrorist attacks over the last years, Italy is a strange exception. Although the country is far from invulnerable to the threat of terrorism, only a few attacks have occurred. This is interesting for a variety of reasons; not least the symbolic value Italy has for many Jihadist groups or the fact that the country represents the biggest entry point to Europe. While Italy’s particular status is partly due to certain endemic characteristics of Italian society and the nature of the terrorism threat in Italy, Rome’s counterterrorism strategy nonetheless deserves credits, since it has greatly contributed to keeping the country safe. However, several factors may soon alter Italy’s state and lead to a season of more intense terrorist activities. Italy has been fighting domestic terrorism since World War II. Starting from the second half of the ‘60s, the country has gained decades of experience in fighting criminal organizations, left and right-wing extremists, anarchists and, more recently, religious extremism. Because this experience contributed to shaping the country’s current counterterrorism strategy, a brief historical overview of terrorist activities in the “Belpaese” is needed. Italy was the target of several (mainly anarchist) terrorist attacks through the 19th and 20th centuries. One of these attacks even led to the assassination of King Umberto I, murdered by anarchist Gaetano Bresci in 1900. Yet, it is in the post-WWII period that Rome learned how to cope with terrorism. Held in the grip of the so-called “Years of Lead,” the majority of terrorist attacks in Italy occurred between 1968 and 1982. Such attacks were perpetrated by a variety of anarchists, left wing extremists and neo-fascists, the latter often acting in collusion with elements of the State’s security and intelligence agencies in what has been called the “Strategy of Tension.” As part of a broader strategy designed to contain the advancing communist political forces and re-affirm Italy’s pro-Atlantic posture, conservative political forces made, indeed, an instrumental use of right-wing terrorist violence, including false flag operations and the use of agent provocateurs, to justify actions against left-wing extremists and anarchists. Some of the attacks that occurred during the Years of Lead are infamously remembered for their high number of fatalities, such as the 1980 Bologna Massacre (85 casualties, the fourth deadliest terrorist attack perpetrated in Europe since WWII). Others are known for having successfully targeted the “heart” of the State, as for example, the left-wing Red Brigades’ kidnapping and subsequent execution of former Prime Minister Aldo Moro in 1978. Similarly, criminal organizations, like the Mafia, resorted to terrorist techniques in the late ‘80s and early ‘90s in order to coerce and influence local communities and the Italian government. Following a wave of Mafia attacks (which reached its peak with the 1992-93 bombings), terrorism in Italy has been limited to sporadic attacks perpetrated by again a heterogeneous array of different non-state actors, belonging to a variety of distinct ideological milieus (Marxist-Leninist formations, anarchists and neo-Nazi groups). Except for a few instances, these attacks have rarely resulted in considerable casualties or major property damage. Needless to say, the issue of terrorism in Italy has violently reemerged in the aftermath of the 9/11 attacks. As a NATO country hosting several major US military bases and a pro-active partner in numerous military missions against strongholds of Jihadist organizations, Italy is in good place on Jihadists’ hit list. Moreover, the country’s symbolic value as the cradle of Catholicism and Western civilization further contributes to making Italy an attractive target for Islamist terrorists. Although the first years of the new millennium were relatively quiet, it soon became obvious that various underground cells and individuals were planning their Jihad in Italy. 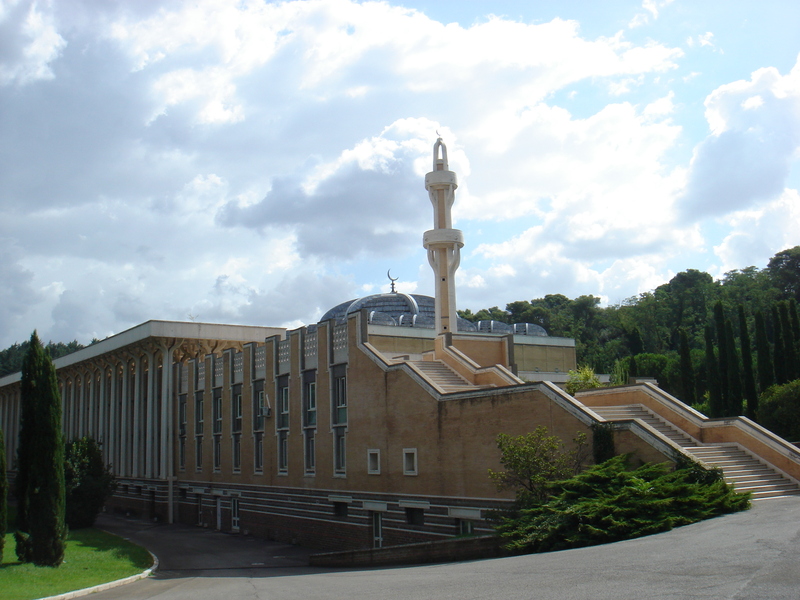 In 2007, for example, the Polizia di Stato’s General Investigation and Special Operations Division (DIGOS) – a special unit of the national police force charged with counterterrorism duties – apprehended Mostapha el-Korchi, the Imam of a minor mosque near Perugia, and three of his followers for the planning of multiple terrorist attacks. The group had even collected chemical materials they intended to use. In the 2010s, Italian authorities thwarted more of these plans after a minor attack against Army barracks in Milan, in 2009, was partially successful. Among the most resounding foiled plans, Italian authorities arrested four men from Kosovo for planning to bomb the Rialto Bridge in Venice in 2017. In an intercepted phone call, the target selection was justified as such: “you’ll go straight to paradise with all the non-believers in Venice…blow up the Rialto.” Jihadism is not, however, the only current terrorist threat to Italy. While Jihadism was slowly becoming a major terrorist threat to Italy, the first two decades of the new millennium have also highlighted the re-emergence of insurrectionary anarchism. The establishment of the Informal Anarchic Federation-International Revolutionary Front (FAI-FRI) has indeed brought a quantitative and qualitative leap forward in the activities of anarchists in Italy. Recently, an anarchist cell allegedly belonging to the FAI claimed responsibility for the failed bombing carried out on 16 August 2018 against a historical branch office of the Lega Nord (LN) party in Treviso. Lega Nord is now ruling the country in a coalition with the Five Star Movement (M5S). Although insurrectionary anarchists have carried out several attacks, they have generally failed to catch the media and general public’s attention, as their attacks are usually low-key, non-spectacular in nature and rarely result in casualties. Similarly, right-wing extremism is once again on the rise in Italy. The social tensions caused by the country’s poor economic performance since the 2007-08 financial and European debt crises have paved the way for the emergence of populism and anti-establishment movements. Additionally, recent migration waves have further exacerbated these social tensions. Exploiting and spicing up these narratives with nationalistic feelings and security-related concerns, the anti-establishment M5S and LN have managed to win the March 2018 elections. Emboldened by these electoral successes, far-right violence increased in the last few months and migrant communities have been repeatedly targeted. While the government has downplayed the importance of these episodes – which ranged from insults to beatings and air gun shootings – their racist nature is undeniable. With the government failing to recognize and condemn the racist motives of such attacks, the perpetrators will only feel galvanized and might raise the bar of violence. Consequently, we should expect acts of violence to increase, leading to more episodes like the far-right activists Luca Traini’s drive-by-shooting against African migrants in Macerata on 3 February 2018. Why hasn’t there been a major terrorist attack in Italy? While far-right extremism and insurrectionary anarchism are on the rise in Italy, the country has yet to suffer a major jihadi attack. Much ink has been spilled in the last years in order to unravel the mystery of why jihadi terrorism has left Italy relatively unaffected. To answer the question, we have to examine the nature of the jihadi threat in Italy. For a variety of reasons, it is simply different from that of other European countries. First, there is a demographic feature. Unlike other major European Union (EU) states, Italy has a small Muslim population. More importantly, the proportion of second and third generation Muslims – usually the most likely to radicalize – is even smaller. Hence, homegrown terrorism is less likely. In addition, the geography of Italian cities seems to have a positive impact on the prevention of radicalization. Indeed, the predominance of small-medium cities may have so far precluded the ghettoization of Muslims communities, the establishment of “parallel societies” and the emergence of Paris-style banlieues. Ultimately, this enables a more efficient surveillance and control of the territory. Consequently, since Italy has been less affected by radicalization, it has seen fewer of its citizens leave to fight in the Syrian War. Therefore, Italy also has much fewer (returning) foreign fighters in comparison with other European countries. According to official 2017 estimates, there were 125 Italian foreign fighters in Syria and Iraq, fighting under different Islamist banners. Thirty-seven have perished, while twenty-two have allegedly found their way back to Europe (twelve of which to Italy). Comparing Italy with other European countries makes it clear how this phenomenon has a much more limited impact in the Italian Peninsula. Indeed, as of 2015, Belgium had, despite the limited size of its population, an estimated number of foreign fighters ranging between 420 and 516. Similarly, France featured more than 900, while Germany’s number oscillated between 720 and 760. Additionally, a relatively short list of potential violent extremists (gathered in Italy’s database of radicalized individuals) that allegedly consists of a few hundred individuals, also means an easier monitoring. Given the limited size of the Muslim population and its less prevalent radicalization problem, one might be led to believe that jihadi activities in Italy are not really lively. This would be at best inaccurate. Italy has been a hub of Jihadism for decades now. Jihadi cells in Italy have traditionally performed logistical activities such as providing weapons or forging false documents. Rather than being comprised of hitmen or strike groups, networks and cells in Italy have provided logistical support for the activities of larger reference groups such as the Islamic State (IS) or Al-Qaeda. Moreover, the logistical purpose of such networks implies that carrying out attacks on Italian soil could potentially jeopardize their existence and the vital functions they perform. However, Italian authorities have not been sitting back without taking the initiative against these networks. Throughout the 1990s and the 2000s they monitored the activities of important mosques and cultural centers, such as the Islamic Cultural Institute in Milan. The investigations and subsequent countermeasures have eventually led to a decline in the influence of these centers as logistical hubs. However, more needs to be done. Despite the diminished role these cells can play, recent attacks in Europe have demonstrated that many Jihadists still continue to have strong ties to Italian networks. This is the case of Anis Amri, the perpetrator of the 2016 Berlin attack, who spent four years in Italy between 2011 and 2015 before moving to Germany. Having been arrested several times for petty crimes, he radicalized during his time in jail. Right after the Berlin attack, he fled to Italy where he was killed in a police shooting near Milan on 23 December 2016. The fact that he took refuge in Italy while being hunted by European authorities shows that he had important connections there. Indeed, further investigations led to the arrest in March 2018 of five individuals related to Amri who were planning to attack Italy soon. Similarly, one of the 2017 London Bridge attack perpetrators, Youssef Zaghba, had spent some time in Italy while being on a watchlist of radicalized individuals there. Permanently dismantling such networks could definitely inflict a blow to jihadi activities across European countries. Yet, this situation is complex and most likely worsening. Michele Groppi, a teaching fellow at the Defence Studies Department of King’s College in London argues that with the emergence of more intense jihadi activities, Italy’s “exceptionalism” might soon come to an end. The constant flow of migrants into Italy already has an impact. Among other consequences, these waves are starting to reshape the urban landscape in major cities, leading to the emergence of pockets of urban areas affected by high unemployment rates, criminality and poverty. In other words: hotbeds of radicalization. There are two additional immigration-related aspects that must also be taken into account. First, as mentioned previously, migrant waves have caused social tensions within the Italian society. Anti-Muslim feelings driven by fear of terrorism and resentment towards migrants could not only reinforce far-right extremism, but could also foster the jihadi cause by antagonizing, marginalizing and alienating Muslim communities. Second, other phenomena such as the caporalato could further exacerbate violence. Caporalato, which can be understood as modern slavery, is the exploitation of migrants who are forced to work for about twelve hours a day. They are paid the minimum wage and remain under the strict surveillance of the caporali, ruthless supervisors who do not refrain from corporal punishment to ensure the productivity of their “employees.” An additional threat ensuing the migrant crisis comes from the Islamic State’s potential infiltration of incoming immigrant waves. Although the amount of returning foreign fighters in Italy is very limited, IS operatives might still have reached Italian soil according to Italian and German authorities. It was for example the case in Germany, where three IS operatives have allegedly entered the country posing as refugees. These battle-hardened veteran jihadists could not only plan and carry out attacks on their own, they could also coax other individuals into radicalization. The experience of the Years of Lead has allowed Italy to become quite proficient at hindering terrorist activities. Rome has used this experience to implement new legislative tools and efficient strategies. On top of that, the past decades have taught Italy how important it is in terms of prevention to maintain a close and constant dialogue between the intelligence community and law enforcement agencies at the operational level. Regarding legislative innovations, the corpus of measures changed a lot since the ‘80s. Back then, the government introduced Article 270 in the Penal Code. Basically, this allows Italian authorities to take preventive measures, such as pre-trial custody and deportation of foreign nationals, against any individual promoting, organizing, or carrying out acts of terrorism. Expanding these provisions in 2005 and again in 2015, the Italian Government introduced additional penalizations for training or providing instructions for the preparation or use of explosives, firearms or other arms, including chemical and biological material, as well as for propaganda, recruitment, promotion and planning of terrorist activities on the Internet. Such penalizations include different periods of detention depending on the charges. For example, individuals suspected of being recruiters or of financing terrorist activities face a detention period ranging from 7 to 15 years. On the other hand, foreign nationals charged with terrorism-related offenses are faced with expulsion from the country. The ultimate rationale behind these measures is to make sure judicial authorities are able to punish the crime before it is committed. In some cases, even “likes” on social media can been deemed sufficient to justify pre-trial custody of suspects. In other cases, suspects have been deported after they expressed their support on social media, for terrorist attacks perpetrated elsewhere in Europe. While allowing authorities to take the initiative with respect to suspect cases, these legislative means could also serve in order to deter potential “wannabe Jihadist” lacking technical expertise or a support network. There are other, non-conventional tactics at Italy’s disposal to prevent acts of terrorism, such as intercepting phone calls. This controversial measure sets Italy apart from other countries (it is also used in France, albeit with some substantial differences). Intercepted phone calls can be used in Italy as evidence in court and can be collected (in cases of organized crime or terrorism) on the basis of suspicious activities rather than solid evidence. While it is Public Prosecutors who give authorization for proceeding with intercepting phone calls, specific law enforcement units, aided by cultural mediators and interpreters, are in charge of monitoring these phone calls, along with suspicious websites on the Internet. Apart from its legislative framework, Italy can build on lessons learned during its years spent fighting the Mafia and left-wing terrorist organizations. One of the most important aspects, is the experience gained in infiltrating and dismantling networks. The pentiti – former Mafiosi or terrorists who, upon their apprehension decided to work with the authorities – is exemplary in this regard. Italian authorities constantly attempt to approach individuals who are believed to be at risk of being radicalized. They work to persuade them to break family or social relationships tying them to jihadi networks/organizations and cooperate to dismantle these networks. In exchange, they offer leniency and other sorts of incentives, such as residence permits. Furthermore, according to Francesca Galli, a researcher at the Maastricht University, Italy makes extensive use of undercover agents in intercepting communications between jihadi networks. Once concrete threats are identified, there is another tool Italian authorities can resort to: the deportation of suspects. Because Italy does not feature a sizeable second or third generation Muslim community, many of those who are radicalizing or have radicalized are foreign nationals. Hence, it is, legally speaking, relatively easy for authorities to deport suspicious foreign nationals to their countries of origin when suspicions have grown into actual concerns. 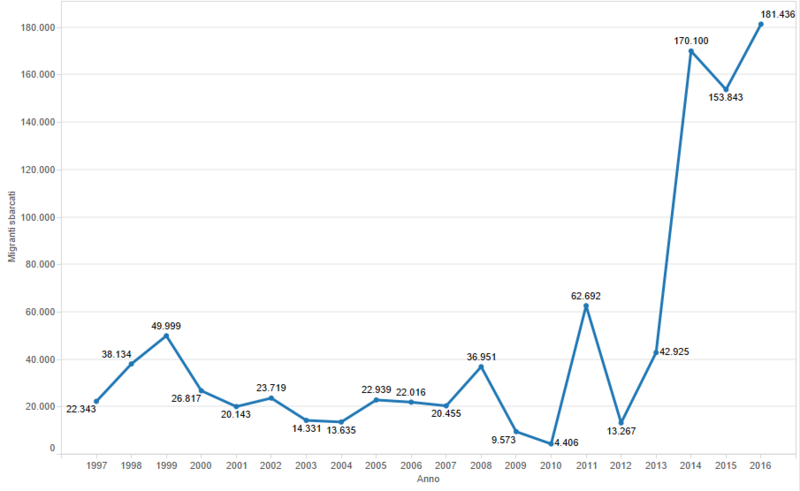 Since January 2015, 317 suspects have been deported from Italy. This corpus of legislative and operational means has helped Italian authorities thwart several plans for attacks that could have resulted in major casualties. Besides the above-mentioned plan to blow up the Rialto Bridge, other foiled plans include an attack on the Vatican and the Israeli embassy in Rome in 2016, an attack on the subway in Rome in March 2018 and a van attack in Naples in August 2018. Italy’s ‘exceptionalism’ hails from a variety of endemic characteristics of Italian society, such as the small size of the Muslim population and the virtual lack of second/third generation Muslims. On top of this, Italy has learned from its experience and has developed a rather efficient counterterrorism strategy. There can be no doubt that this strategy has greatly contributed to preventing major terrorist attacks on Italian soil. Yet, the landscape is changing quite swiftly. First, a second generation of Muslims will eventually emerge posing a potential long-term radicalization threat. Besides, the incoming waves of immigrants and the social tensions they bring, the re-emergence of the anarchist threat and the resurgence in right-wing extremism are also likely to contribute to a rapid increase of the terrorist threat in Italy. Therefore, if the country’s counterterrorism strategy will not be able to continuously adapt to this ever-changing threat, the next years might, unfortunately, witness an escalation in terrorist activities in Italy.